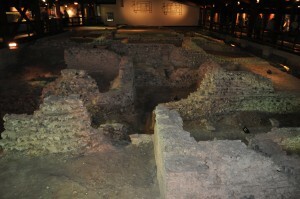 On Friday 5th August, the annual CAG coach trip took us to Lullingstone, Kent, to visit the Roman Villa and the Castle. Our first stop was the villa, one of the best-preserved in Britain, originally constructed in timber circa 75AD, rebuilt in stone during the 2nd century and finally destroyed by fire in the 5th century. 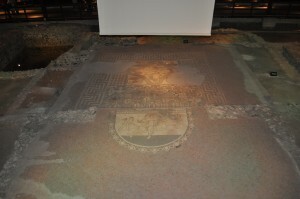 It has 26 rooms, but the most notable feature is the house-church, unique in Roman Britain, which contains wall-paintings giving evidence of early Christianity. Also of great interest (particularly to CAG members currently digging at Fordham) were the mosaics and the bath-house complex. Much discussion of hypocausts and drainage was heard. 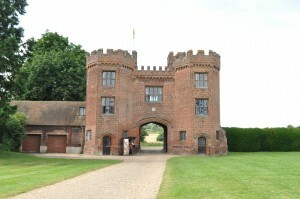 We then went on to Lullingstone Castle, one of those country houses which was never a castle at all, but a Tudor Manor House from circa 1497, extensively re-modelled during the reign of Queen Anne, who was a frequent visitor. 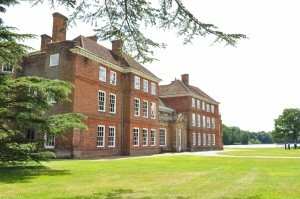 Unusually, the house has been owned by the same family since it was constructed (now the 20th generation). 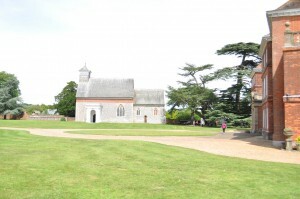 Also in the grounds is the Tudor brick gatehouse and the 14th century church of St Botolph. In 2000, Tom Hart-Dyke, the heir to the estate and a horticulturist, made the news when he was kidnapped in Colombia. 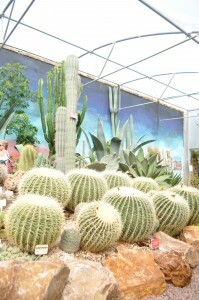 During his nine months of captivity, he developed the idea of creating a map of the world in plants from each continent. 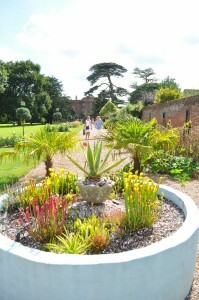 When he was released, he returned to Lullingstone and created the World Garden of Plants in the old walled garden. 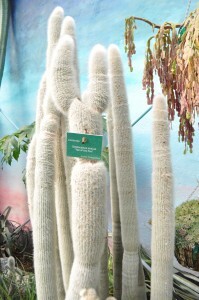 It now includes the National Collection of Eucalyptus Trees.